During the oil and gas boom in year 2012, the main stream yards in Singapore were overwhelmed with new build orders and conversion jobs leaving little space and interest for short term repair works. Allrig initiated the partnership in 2012 through its now consolidated subsidiary, Willtech Asia, to use the port to provide customers with rapid and total dock solutions. Johor Port is a conventional port in Malaysia, whose quaysides have been underutilized. During the oil and gas boom in year 2012, the main stream yards in Singapore were overwhelmed with new build orders and conversion jobs leaving little space and interest for short term repair works. Allrig initiated the partnership in 2012 through its now consolidated subsidiary, Willtech Asia, to use the port to provide customers with rapid and total dock solutions. 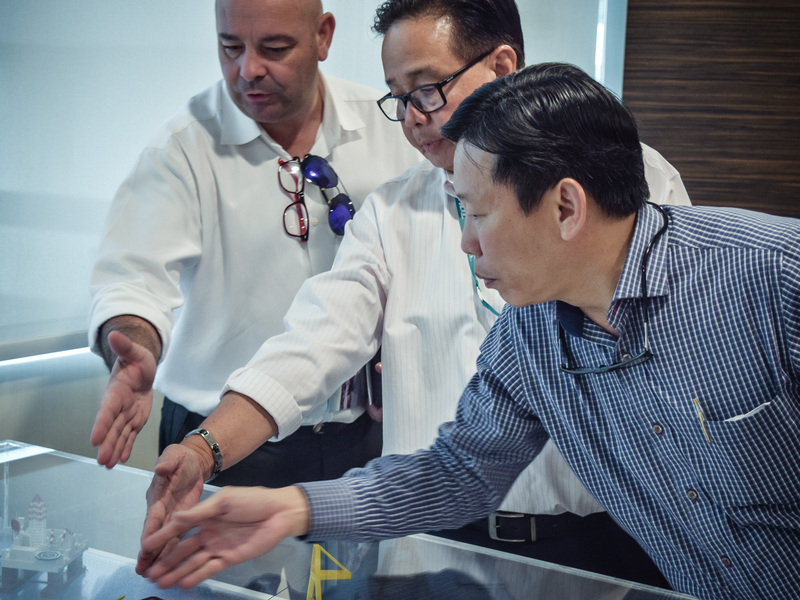 Managing the partnership with the port is William Lau and in a conversation with him he shed light on how the partnership came to be, how it is going and what Allrig’s future plans hold, in Johor and beyond. The decision for Mr. Lau to get involved in the partnership with then Willteco BV was a natural one. Willteco BV wanted to find the right partner with the right ideals in the region. I am very familiar with working in the region, so starting up Wiltech Asia, an extension of Willteco BV, was a perfect marriage.” Allrig acquired Willteco BV and Willtech Asia in June 2014. “In Johor, we saw that there was an opportunity to use the quaysides, which were underutilized at the time, notes Mr. Lau. As the industry continues to strengthen, Mr. Lau expects that more rigs will need to be reactivated to get back on contract, quickly. Reactivating the rigs means that a lot of the maintenance and repair that was neglected during the market downturn has to be done in a short amount of time to be able to work again. In addition to servicing, another important issue to address is the knowledge drain that had happened following the downturn. “Many professionals in the sector left when the oil & gas market crashed, so building up the knowledge and technical expertise is essential,” adds Mr. Lau. Allrig is looking into the possibilities of investing in offering that service in Johor and exploring ways to train students from universities in the region and engineers in the Industry to get up to speed, including by doing so on a live rig; refurbished for the sole purpose of training the next generation of oil & gas experts. Next to the possible training offer, Mr. Lau and Allrig are exploring possibilities for expanding the cooperation with owner of Johor Port, the Malaysia Mining Corporation (MMC), to use many of their existing ports to have an even wider presence in the Southeast Asian region. Exciting developments are underway and Mr. Lau, Allrig and local teams on the ground are ready to help keep customers on day rate. If you are interested in reading more about our quayside capabilities, please go to this page.